In 2015, Jason Moon greeted a young fan at Nuvita. In July of 2011, I entered a new chapter in my life. It’s been a journey with unforgettable memories I’m so thankful for. As a then 20-year-old, I vividly remember walking into Fred Messore’s office and saying, “I want to open a business.” Thankfully, he saw something in me, mentored me, and helped me create a dream I had envisioned — NuVita. Seven years later, as I sit here and look back on what I have accomplished, I am filled with gratitude. It has been an incredible journey, and I know I couldn’t have succeeded without the encouragement, guidance, and support from all of you. 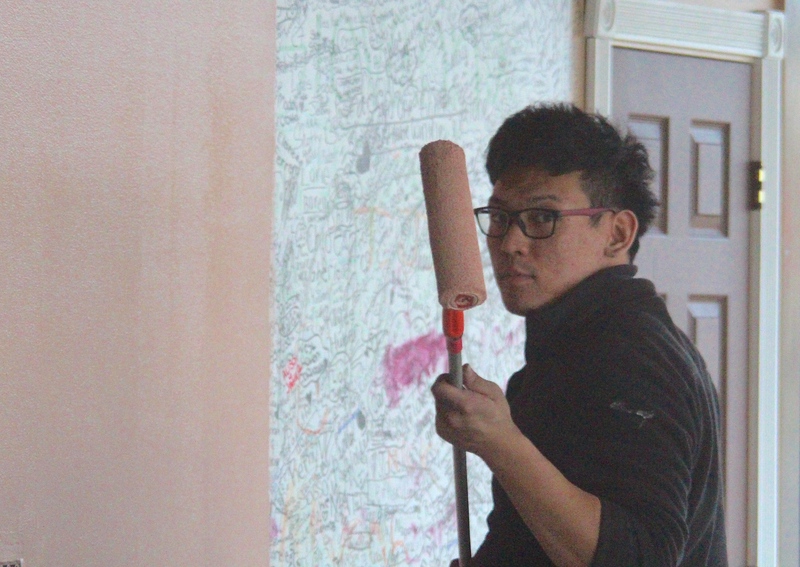 April 2015, owner Jason Moon was putting the finishing touches on the Nuvita Cafe upgrades. Thank you to my family, friends, co-workers, and people who helped grow and shape me into the person I am today. I am forever grateful for the time you took to invest in my life and dreams. Over the last 7 years, I’ve put my heart and soul into NuVita. Through the good times and the struggles, I’ve learned to take one moment at a time, be humble, and appreciate every moment I’ve been given. After years of legal battles and witnessing the toll it’s taken on my family, I’ve come to the conclusion that it’s time to pivot in my journey. It’s time for me to be with my family. With sincere gratitude and a heavy heart, I must share that NuVita’s time on Old Tavern Road is ending. NuVita will be closing its doors on October 29th, 2018. NuVita was ‘his “your first job”’, ‘her “first date”’, and ‘our “favorite place to go”’. Thank you for supporting and making NuVita a part of your life. You all helped make it the best part of mine. In the market for a home for less than $300,000? Check out this Cape on 1.21 acres at 106 Old Tavern Road during an open house on Sunday, July 29 from 12-2 p.m. 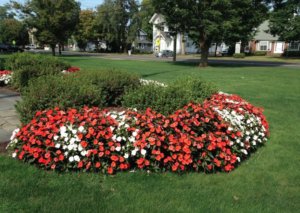 Welcome to this affordably priced dormered cape style home in Orange with its sought-after Amity School district. This 1,430 sqft 3 bedroom, 1.5 bath home has been well cared for by its current owner. This home is nestled on a beautiful, level, open lot. It features a formal Living room with a fireplace that is open to the formal dining room. There is a large eat-in Kitchen with room for everyone. Completing this level is a half bath and a first-floor office/den. All 3 bedrooms are on the upper level and are serviced by a full bath. The one-car garage accesses the home through a breezeway. Good Mechanicals. Add your personal touches and this home will shine. Orange police responded to a report of an erratic driver traveling in the wrong lane on Old Tavern Road on June 10 at 6:38 p.m.
Officers stopped the car near Drummond Road and during the investigation, they reportedly detected the odor of an unknown alcoholic beverage emanating from the driver’s breath. Lee Porcu, 37, of New Haven was administered standardized field sobriety tests and he was subsequently taken into custody and charged with driving under the influence of alcohol or drugs, evading responsibility, failure to drive in a proper lane and following too close. Porcu was released on a $50 cash bond for court June 26. Don’t Miss It! Auxiliary Bake Sale At Treat Farm Sunday Until 4 p.m.
Around Town, Charity Events, Home, Latest News, Police & Fire Comments Off on Don’t Miss It! Auxiliary Bake Sale At Treat Farm Sunday Until 4 p.m. The Orange Volunteer Fire Department Auxiliary is hosting a bake sale at Treat Farm, 361 Old Tavern Road, from 10 a.m. until 4 p.m. Sunday Dec. 4. The goodies include pies, brownies, cookies, cupcakes, fudge and dozens of varieties of the best treats they can muster — and these women KNOW how to bake! 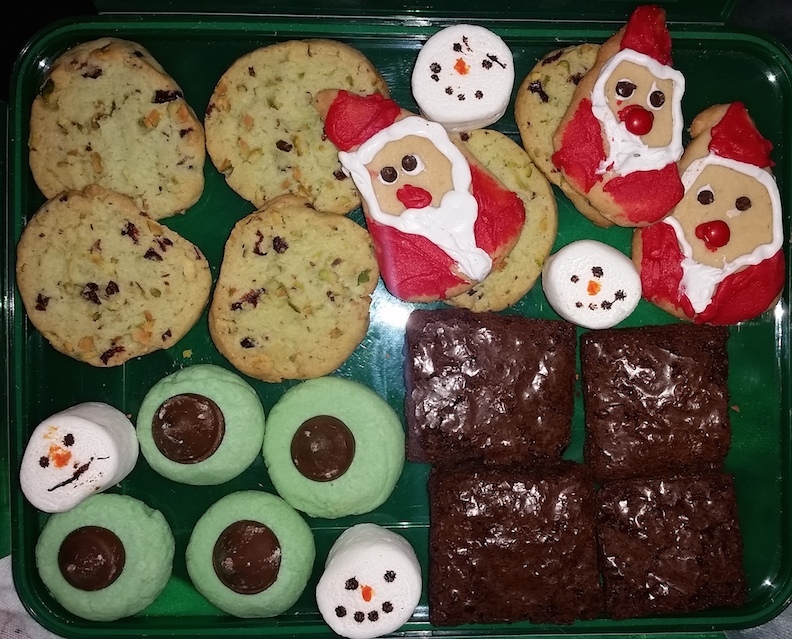 Some of this year’s treats (pictured at right) include: Ready for hot chocolate marshmallows; Moist, delicious brownies; yummy Santa face cookies; Mint Thumbprint cookies and cranberry pistachio cookies…Incredible and SO reasonably priced even a child with $1 can walk away with something special and a BIG smile on his or her face! Year after year the Auxiliary members seem to outdo themselves introducing some new hot item that you will most likely be dying to try making when you get home. Hot chocolate and hot cider also will be available for sale. The new Auxiliary cookbook, also is be available for sale. All proceeds benefit the Orange Volunteer Fire Department. 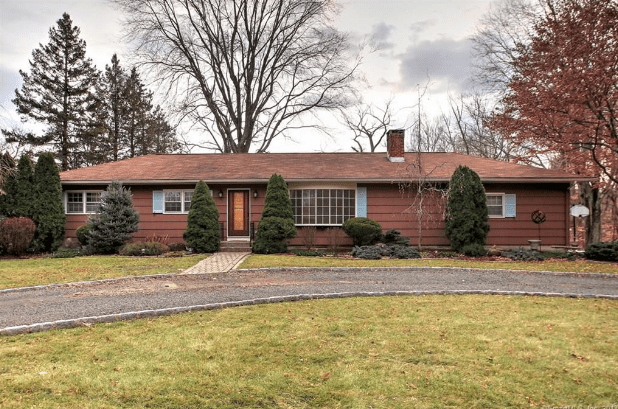 Open House: 3 Bedroom on Old Tavern Road, Sunday, Feb. 7, 12-3 p.m.
Around Town, Home, Latest News, open house, Real Estate, Today's Events Comments Off on Open House: 3 Bedroom on Old Tavern Road, Sunday, Feb. 7, 12-3 p.m. In the market for a 3 bedroom home in Orange? Join Realtor Wayne Hugendubel at 239 Old Tavern Road, on Sunday, Feb. 7 for an open house from 12-3 p.m. Recently reduced in price this 2,193 Sq. Ft. single family home has 3 bedrooms, 3 full bathrooms and a 2-car garage. Spacious Bi-Level with hardwood floors in most rooms. Open Living Room and Dining Room provides great flexibility in use. Eat-in kitchen leads to newer trex deck overlooking private back yard. Master Bedroom with its own full bath. Ceiling fans in all bedrooms. Walk out lower level with huge Family Room with fireplace,tile flooring, full bath with Jacuzzi tub and plumbing in place for wet bar. Updates include: lighted, paver walk way, newer hot water heater~2009, newer Trex deck, Central Air upgraded apx 2009; Gutter guards installed on newer gutter 2009;Front steps upgraded with blue stone; Lower level installed new tile flooring and marble on fireplace , added jetted tub and full bath ~2008. City Water; 200 amp electrical,Invisible dog fence and attic fan. Ready For A Thrill? Walk The Treat Farm Corn Maze! Around Town, Charity Events, Home, Latest News Comments Off on Ready For A Thrill? Walk The Treat Farm Corn Maze! Carrie and Jeff Wilson welcome you to their biggest corn maze ever! For the past 6 years Treat Farm, 361 Old Tavern Road, has been cutting pathways through a field of a special variety of extra tall corn stalks to make a family friendly corn maze that is fun for all ages. This year they introduce their biggest maze ever, at more than 5 acres you could easily wander through this field of dreams for 90 minutes at the very least before taking a huge sigh of relief at the sight of the exit sign. The Wilsons have incorporated a quiz into this year’s maze, too. You will receive a postcard with six questions, reminiscent of Trivial Pursuit, when you arrive and if you’re lucky, you will find all of the answers in colored boxes randomly placed inside the maze. Admission is an affordable $6 per person. The Treat Farm Corn Maze is open weekdays from 12-6 p.m. and Saturday and Sunday from 10 a.m. to 6 p.m. The Wilsons offer fundraising events as well, scout troops, church organizations and others have taken advantage of this opportunity in the past by selling tickets in advance for a specific day and time and they receive a portion of the proceeds from the cost of admission. If you are interested in a fundraising event, flashlight night or need any other information, call Jeff at 203-799-2453. Owner Jason Moon and State Rep Charles Ferraro at Nuvita. State Charles Ferraro (R-117) received a tour and sneak preview of Nuvita Frozen Yogurt & Café, the new Frozen Yogurt Shop in Orange on July 2 to collect their views about the state’s business climate and to offer some support to the new Orange employers. Ferraro met with Nuvita owner Jimin “Jason” Moon who gave him a tour of the “new” store. Nuvita Frozen Yogurt & Cafe is located in the Firelite Shopping Center, on 35 Old Tavern Rd, in Orange. They will be celebrating their ‘Grand Re-Opening & 4th year Anniversary’ on July 11 at 6 p.m.
Nuvita features selection of self-serve frozen yogurts, toppings and an extensive selection of coffee. Visit their Facebook page to learn more about the business. Here’s a reminder that could save you a lot of aggravation if you’re going to the expo or need to access Route 15 from certain parts of town. Today they are working their way up the hill from Ridge Road towards Orange Center Road. Plenty of people are still trying to access the area and traffic is being turned away. Also, don’t forget about Old Tavern Road, it’s coming along, but, you also need to know your way around town to get where you’re going without delay. Plan your route before you leave your house. The following streets and roads will have restricted access for roadwork. Dogwood Road – Between Derby Ave and Cummings Drive for gas line installation. 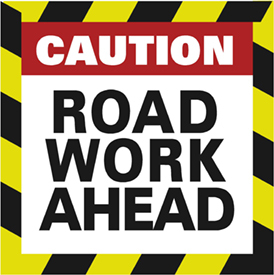 Now that the weather has settled down, the Orange Highway Department will begin the much-needed road work on Monday, June 1. The crews will be out there from 7 a.m. to 5 p.m.
Expect delays and detours as the men make your roads safe and smooth. Orange Live will keep you updated daily OR as necessary when a new location is affected.